NOT DEVELOPED BY FACEBOOK. 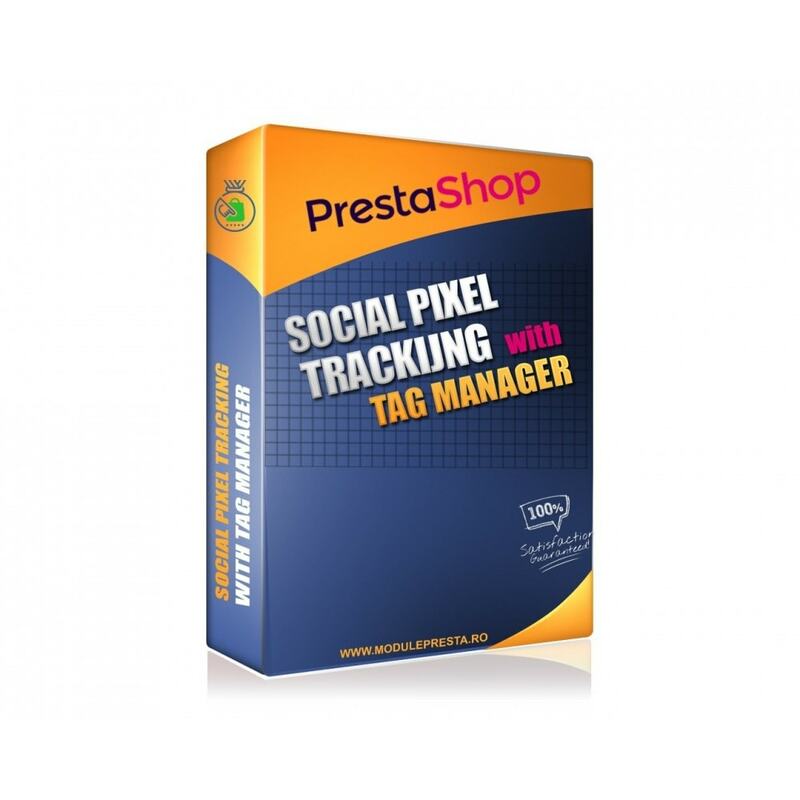 AcebookTracking using Google Tag Manager Module Built for Prestashop. 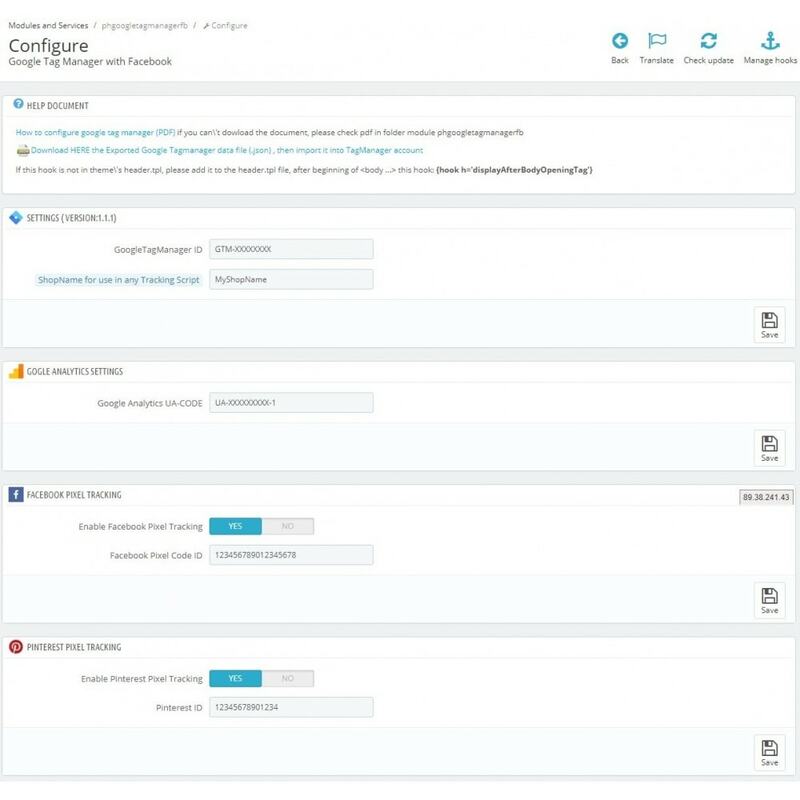 Don't waste hundreds of hour Setting Up the Google Tag Manager, We made it easy for you. Track Sales, custom Events, Carts and start raising your income. Social Media Tracking: Did you know that in 2016 Facebook advertising exceeded Youtube. This is how fast Social Media is growing. 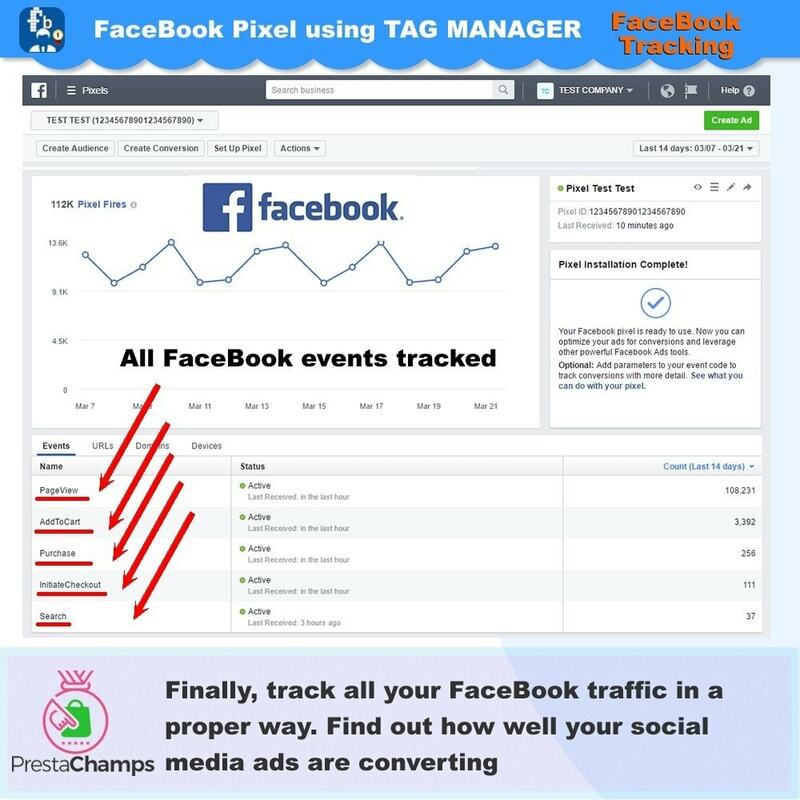 Instead of using the standard Facebook pixel we integrated all 9 custom events, to allow you track in a much better way the expenses and income generated by the Social Media. 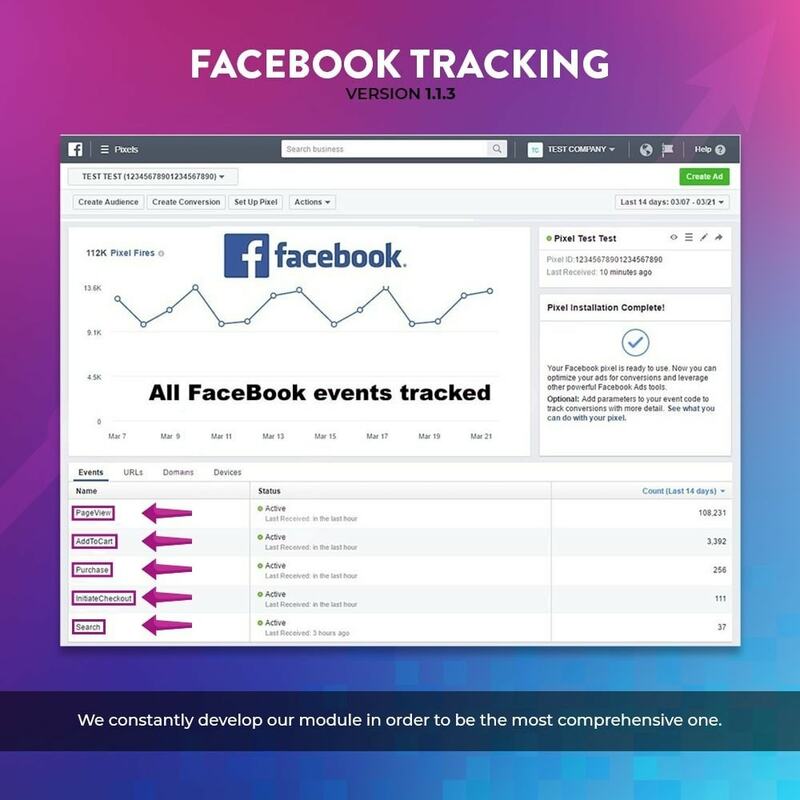 Facebook Pixel Tracking Implementation - all 9 custom events, which will allow you track add to carts, purchases, search etc. 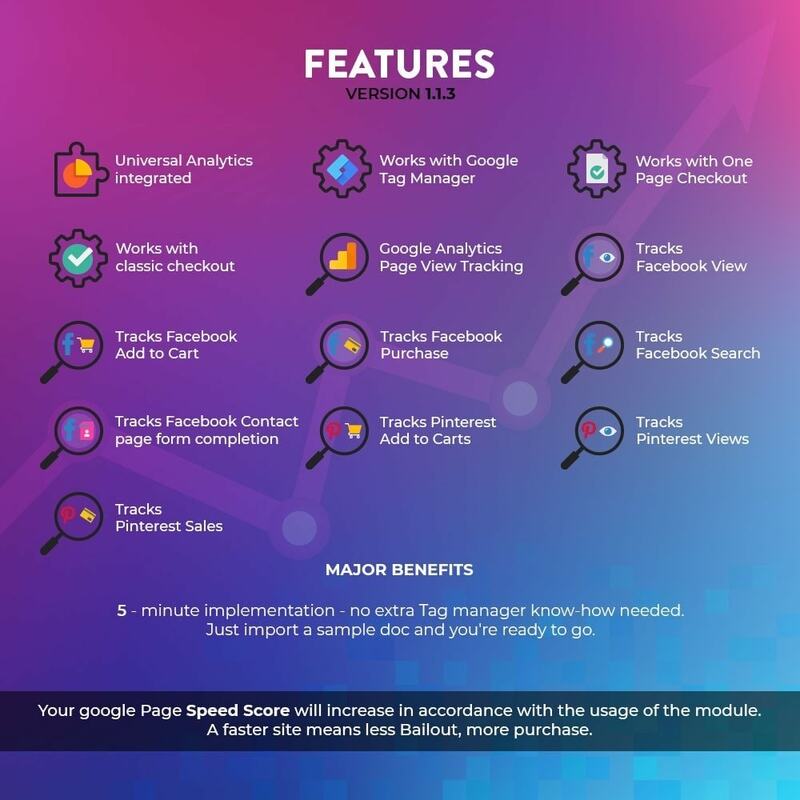 Page Speed Optimization: You already use the Google Enhanced Ecommerce solution - it's time to make the step into the 21 century, and don't let that standard implementation add significant waiting times to your site. Speed matters. Did you know that a single second can make a difference between 17% of increase or decrease of Bailout? This module will increase your Page Speed as well. Simple 3 Step Integration: There are 3 simple steps to be followed in order to put the module into work. 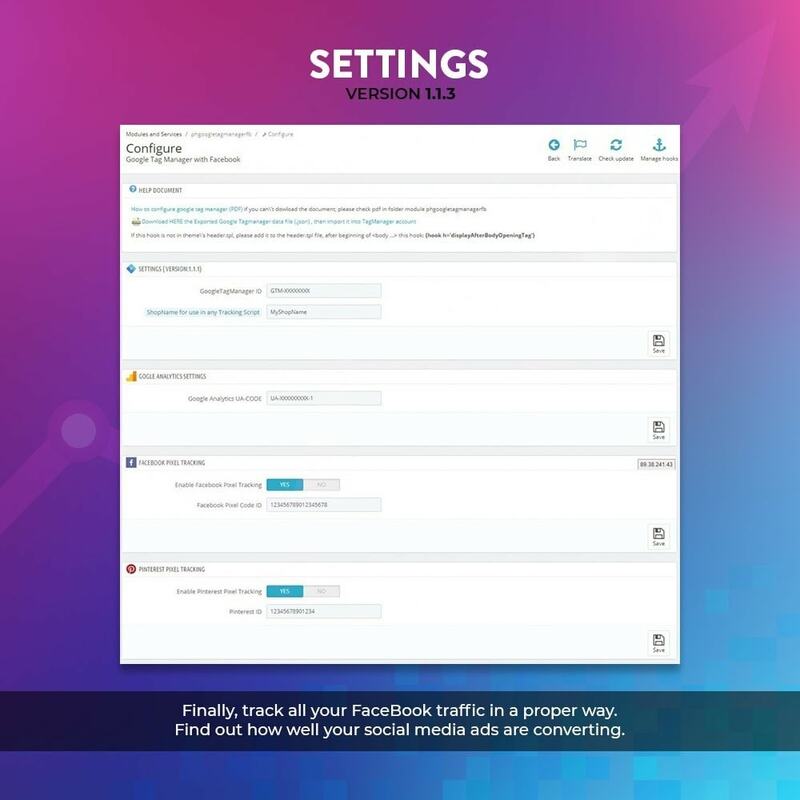 Once this activated you'll start enjoying all the information's and statistics which Facebook Insights will provide you. Don't let the competition outcome you by not understanding your own statistical data. 5-minute implementation - no extra Tag manager know-how needed. Just import a sample doc and you're ready to go. We constantly develop our module in order to be the most comprehensive one. Ap PageBuilder Prestashop Module is the powerful module which follows Prestashop Standards and contains necessary features to build professional Prestashop sites in a few minutes. Your google Page Speed Score will increase in accordance with the usage of the module. A faster site means less Bailout, more purchase. The decrease of load time. Less Frustrated clients. With more information about your customer's behaviors, you can adapt your online shop to fit their needs. BONUS: Pinterest tracking for your website to build audiences to target based on actions they’ve taken on your site, and gather valuable conversion insights. Install the module, and enter your GTM ID (GTM-XXXXXX). Standard module installation, no specific requirements. For setting up the module, please read our detailed documentation. At Teapot Creative we love Prestashop and offer a wide range of services to help support what we feel is the best E-commerce platform available. We can provide everything you need to make your Prestashop store a success. From designing and building your bespoke, elegant and enticing online store through to trouble-shooting, ongoing site maintenance and support. The First AMP module built for PrestaShop is finally on Add-ons. Over 80 prebuilt features. 100% Template Independent - will work with any template used. 7X times faster Mobile Page based on Google's AMP project. 22 TOOLS in 1. 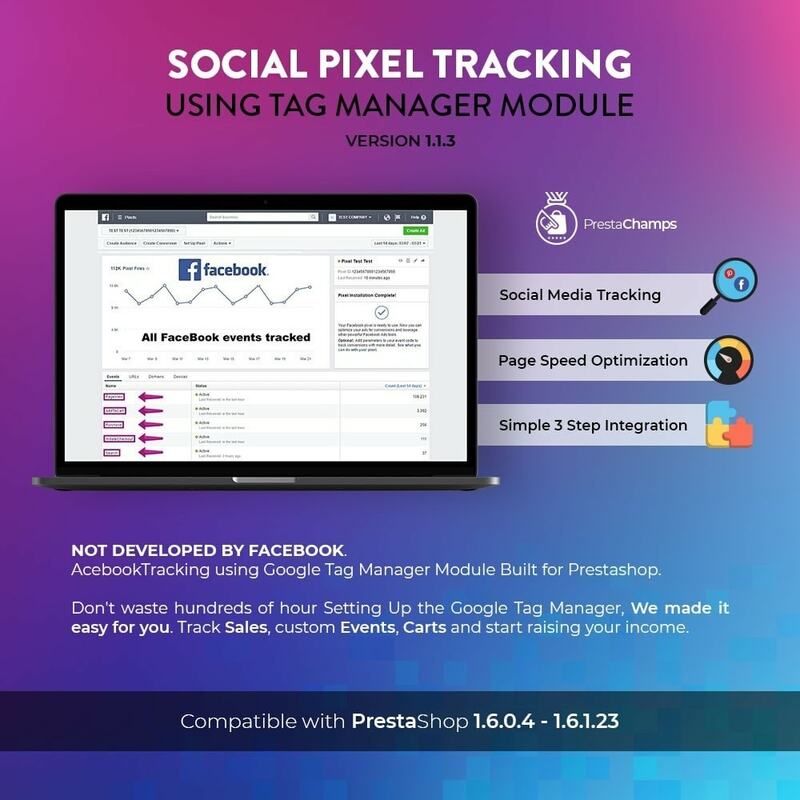 The most complex Tag Manager Module Built for Prestashop. Don't waste hundreds of hour Setting Up the Google Tag Manager, We made it easy for you. Track Sales, Orders, Forms, Carts and start raising your income.